Australia, 26 July 2013 - This month, Audi Australia Pty Ltd will launch the first ever locally-produced brand campaign, 'Australia. Land of quattro' to generate awareness of Audi's leading all-wheel drive technology and it's suitability for the Australian landscape and lifestyle. 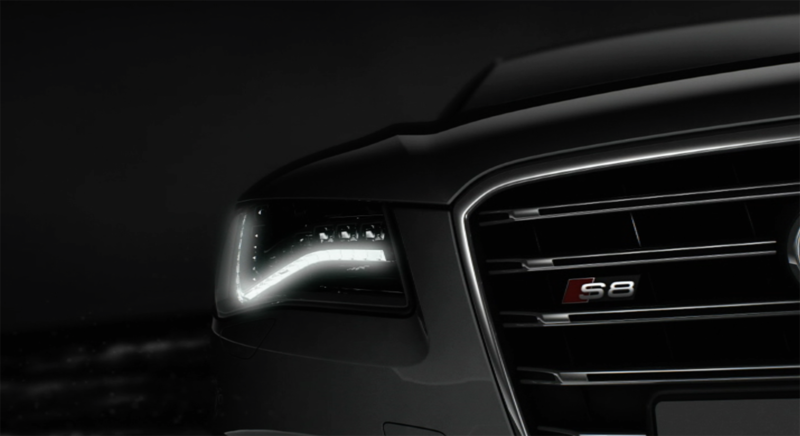 Audi continues to drive progress in lighting technology. Today, its xenon plus- and LED headlights already provide excellent illumination of the road and give vehicles bearing the four rings an unmistakable look. In the future, vehicle lighting from Audi will react even more precisely to environmental conditions, and it will feature full electronic control. The first step in this direction will be taken this year in the form of innovative matrix LED headlights. Real Steel star and Audi Ambassador Hugh Jackman talks about the movie and the Audi R8.